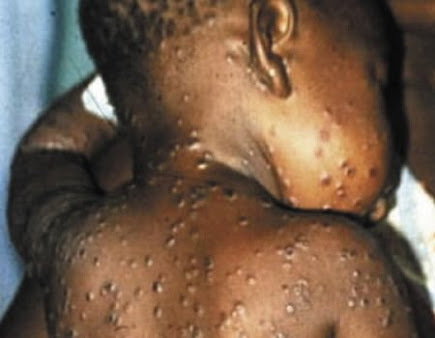 The Federal Capital Territory (FCT) Secretary for Health and Human Services Secretariat (HHSS), Barrister Amanda Pam has declared that there is no confirmed case of Monkey Pox in the Federal Capital Territory. Barrister Pam made this revelation today while addressing the media on the prevalence of Monkey Pox scare across the country. In her words “Two suspected cases of Monkey Pox were reported on Wednesday this 11th of October. The team from FCTA Department of Public Health swung into action, investigated the case and concluded that the history, symptoms, and signs of the cases did not fit into a clear definition of Monkey Pox. She added, “So far seven suspected cases of Monkey Pox have been reported. Three from the National Hospital, two from Gwarimpa General Hospital, one form the University of Abuja Teaching Hospital and one from the Nyanya General Hospital. Based upon the preliminary findings Barrister Pam declared, “In view of the above, so far no case of Monkey Pox in the FCT.”To further allay the public health concerns of FCT residents, the HHSS Secretary assured the public that FCT Administration has a very active and well-articulated public health institutional framework running from the primary to the tertiary health care levels, from the wards, Area Councils to the FCT. She disclosed that the World Health Organization – WHO, has one surveillance personnel in each of the Area Council in FCT and the FCTA has five Surveillance Officers in AMAC and two each in every other Area Council of the FCT. These give the Territory a total of 17 surveillance personnel who are maintaining round the clock surveillance of threat of epidemics in the Territory at large. He also highlighted the role of regional bodies like the African Field Epidemiology Network which last year trained our surveillance officers for three months as well as other multilateral institutions. “Our surveillance system and officers are working round the clock to detect any threat of outbreak and deal with such on time,” Dr. Okoroukwu declared.